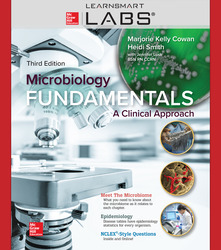 Kelly Cowan started teaching microbiology at Miami University in 1993. Her specialty is teaching microbiology for pre-nursing/allied health students at the university’s Middletown campus. After working as a dental hygienist, she earned her Ph.D. at the University of Louisville and later worked at the University of Maryland’s Center of Marine Biotechnology and the University of Groningen in The Netherlands. Kelly has published (with her students) 24 research articles stemming from her work on bacterial adhesion mechanisms and plant-derived antimicrobial compounds. But her first love is teaching—both doing it and studying how to do it better. She is past chair of the Undergraduate Education Committee of the American Society for Microbiology (ASM). Her current research focuses on the student achievement gap associated with economic disparities, as well as literacy in the science classroom. In her spare time, Kelly hikes, reads, and still tries to (s)mother her three grown kids. Heidi Smith leads the microbiology discipline at Front Range Community College in Fort Collins, CO, teaching a variety of biology courses each semester including microbiology, anatomy/ physiology, and biotechnology Collaboration with other faculty across the nation, the development and implementation of new digital learning tools, and her focus on student learning outcomes have revolutionized her face-to-face and online teaching approaches and student performance in her classes. Outside of the classroom, Heidi oversees a federal grant program designed to train and support underrepresented students for undergraduate research and transfer into four-year STEM degree programs. She is also an active member of the American Society for Microbiology and participated as a task force member for the development of their Curriculum Guidelines for Undergraduate Microbiology Education. Off campus, Heidi enjoys the beautiful Colorado outdoors with her husband and three young children.